Thursday 8th October has been a highlight in my diary for quite some time now. 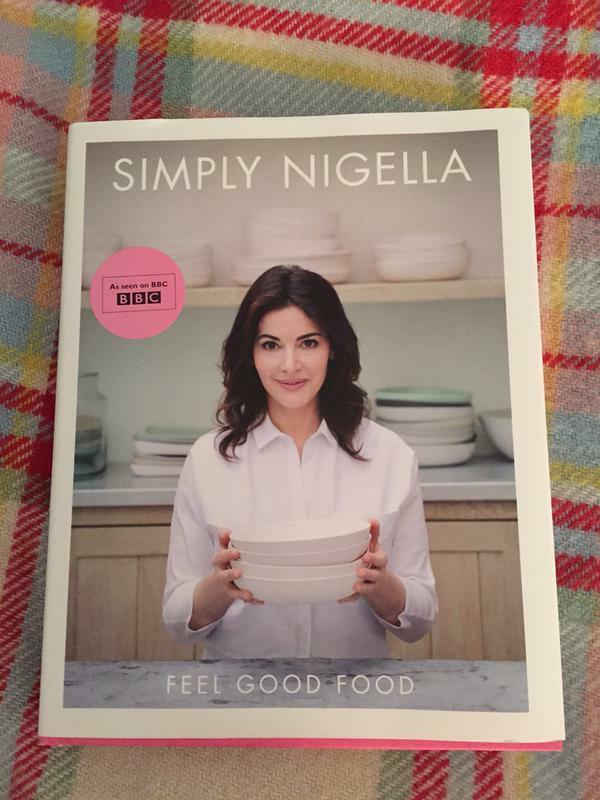 It was the date that Nigella Lawson's much awaited new book Simply Nigella would be published. I got an email on Tuesday saying it had been dispatched and much to my delight, it arrived on Wednesday - 24 hours early. I have been full of excitement about this - the build up has been amazing to watch - she would tweet photos of dishes that she had been testing and then other photos of her at the shoot - and it has been a while since her last book so that added to all the anticipation. I got a message from her on Tuesday with some exciting news.... Regular readers might remember that in November last year, I went to see her in conversation with Alain de Botton at the School of Life. And I gave her a jar of personalised Nutella with her name on it (thanks to Selfridges) and guess what ? The jar is in her new book.... 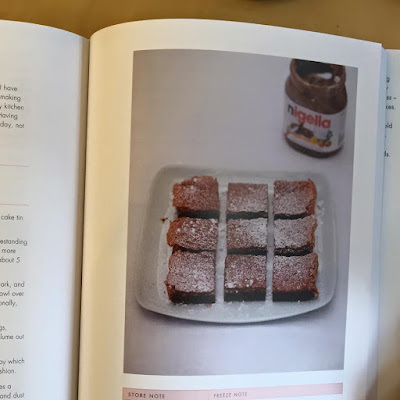 The recipe is for Nutella Brownies... I am so happy ! My favourite chapter is called "BREATHE". She writes as though having a conversation with you - and it makes everything much easier to follow and enjoyable to read. Bravo to Nigella and I can hardly wait to use the book properly - Nutella Brownies are at the top of my list !